Color Sign Vertical 18" x 8"
Create your own custom car sign with our design tool! By adding your own background, logo, border and text you can make it fully match your company brand! Our car door magnet signs measure 12" x 18" so they're fully visible on the back or side of your vehicle without being obtrusive. The best part is they're removable so you can put it on other vehicles or while incognito mode you can remove it when you don't want to draw attention. Most orders ship next business day so order today. 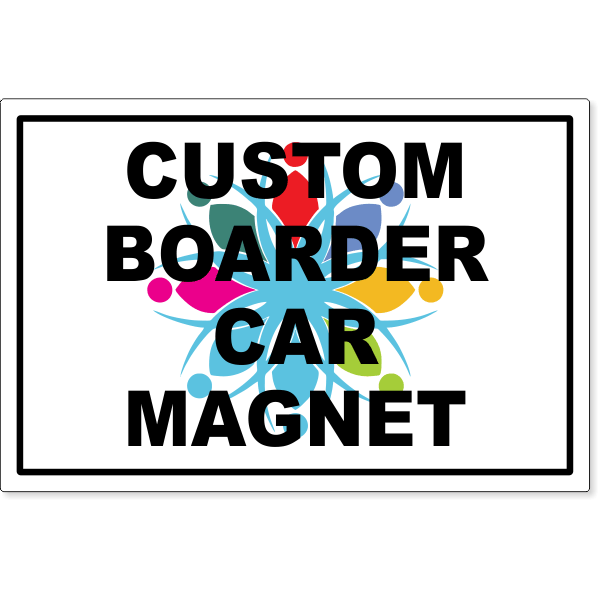 Magnets come in a set of 2 so that you can display your business logo and phone number on both sides of your vehicle!